This book looks like it's written for beginners but it doesn't teach drawing in a structured way that I think is easier for beginners learning to draw. The book talks briefly about different ideas, approaches and techniques to drawing. Every two pages features a technique, with the explanation on one page, and a few illustrated examples. The techniques featured are simple enough for you to try on your own, like drawing without lifting the pen, or drawing without looking at your drawing, or drawing quick and loose, learn shading. The text would teach you how to get started with a particular technique, and explain briefly how the technique is useful. Each technique is rather brief and only has two pages. So the techniques aren't covered in depth and detail which I think will benefit beginners more. I guess having the exercises designed this way would let beginners explore more on their own. This book probably would work better as a complementary book to other drawing books that are more structured and comprehensive. 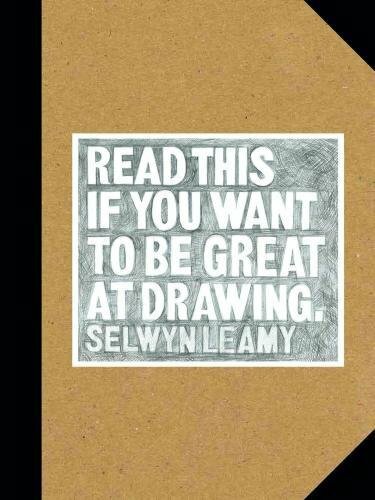 You can then use this book for more ideas on how you can draw differently, or practice some techniques. If you like this type of books, also check out Freehand, Drawn from Life, Drawing Lessons from the Great Masters, Pen and Ink Drawing and Just Draw it.